NU : Students’ protest and exam duration to remain 4 hours. Last month, National University reduced exam duration of honours, Masters to 3:30 Hours. Since then students of different colleges affiliated to NU started to protest against the decision. 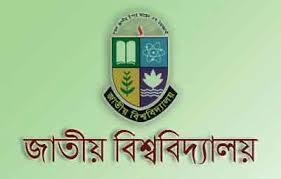 The protest continued till today in different district of Bangladesh and NU has finally responded to fulfill students’ demand to keep exam duration 4 hours. National University confirmed that the duration of exam will remain 4 hours for full credit exam and 2:30 hours for half credit exam. The 3rd year exam, which will begin from 5th September, will be held in this new system. The duration of each full credit exam will be 4 hours. The protest of the students of NU ended as their demand is now fulfilled. Stay with to keep yourself updated with all the latest educational news and opportunities.